Geocaching can be described as a treasure hunt game. In this case, hidden chests, so called catches that can be located using GPS, are targets, not golden coins, diamonds, or jewelry. This game is gaining on popularity. It aims at making people take a walk in nature, while having fun searching for hidden treasure. Nature lovers will certainly find it interesting. It has also become a way of enriching your holidays. Since recently, even ancient Colentum holds a hidden treasure appealing to every geocacher. We hid it quite well, marked the coordinates using GPS, and added another challenge for any curious geocacher! 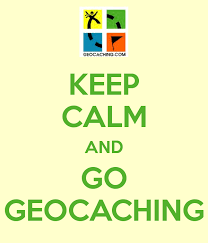 If you decide to embark on this Geocaching adventure, once you’ve found our cache, take the treasure for yourself; leave a comment in our geocache’s logbook, place a new treasure for other geocachers, and return the geocache back where you initially found it. We can guarantee you’ll spend a day having fun in beautiful nature of this mystery-filled area. The entire area of the Gradina Peninsula nearby Murter is a cultural heritage of national importance, together with its contents and presence in space and time. In that regard, it should be valued, preserved, and presented to the public.